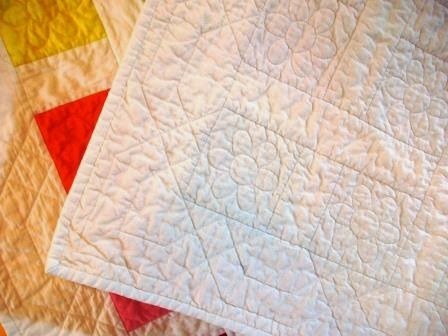 I made this quilt for a friend's little girl (whom I hear loves it). 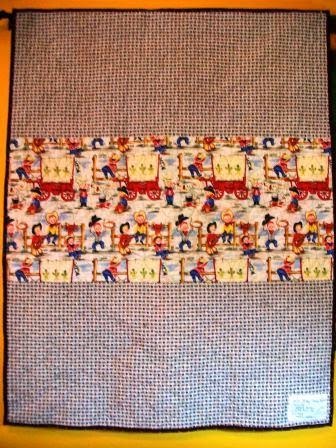 It is one made using scraps of fabric from many past projects. It is machine pieced and quilted. 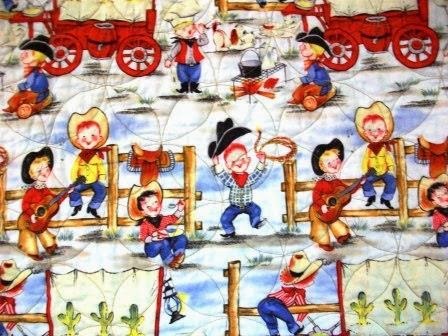 It measures approx 38 in X 48 in. 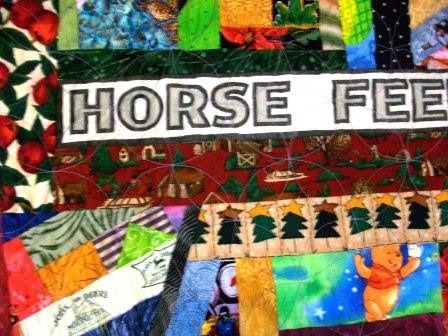 The “horse feed” actually came from a cotton feed sack. You can see Winnie the Pooh here also. In this section you can find a pink poodle, other dogs, a snow man, poinsettia, sunflower, and robot. In this one there’s a monkey, owls, zebras, fish, and more. The back is pieced using two fabrics. The middle section is full of cowboys, chuck wagons, etc. 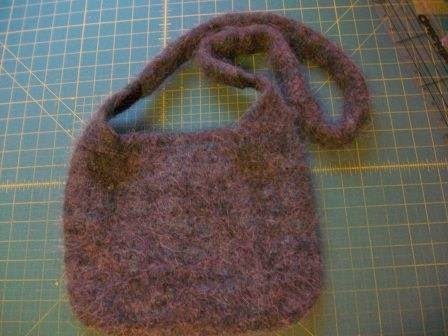 This is my first attempt at felting something I knit. 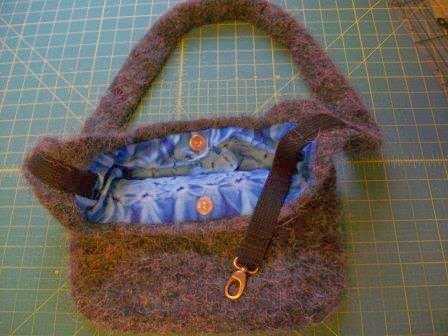 The pattern is The "Don't Worry" Felted Shoulder Bag by Catherine Hughes. The yarn is a blend of Bernat Pebblespun (deep teal color) from my estate sale stash and Rowan Kidsilk Haze (black). 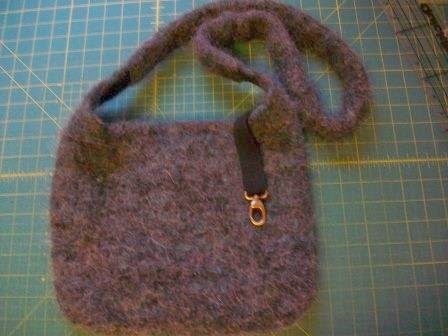 I forgot to measure the bag after I finished knitting and before felting it. After felting it measured about 10 in X 12 in. The bag is lined. The magnetic closure is one I "harvested" from an old purse. 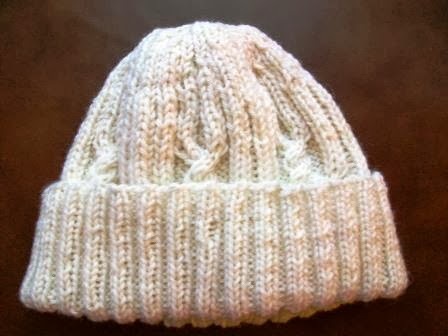 This hat was made using white yarn from the estate sale stash I bought earlier this year. 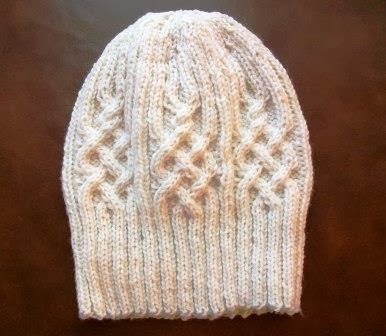 The pattern is Snowtracks Cap by Timothy Peters. I’m not sure exactly what the yarn is as there was no label. I think it is wool or a wool blend. The hat can be worn either unfolded or folded. 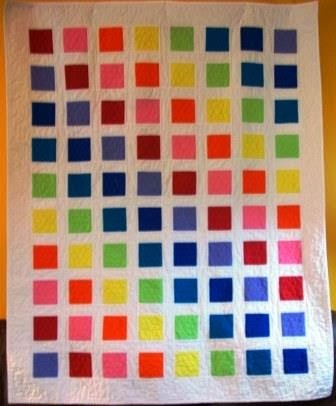 I finished the afghan size quilt made from the tails of the T-shirts used to make Madi's quilt. 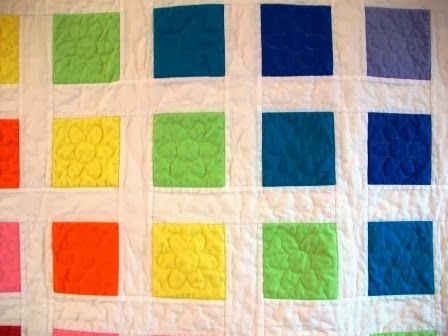 The colors are those of the rainbow, hence the name of the quilt. 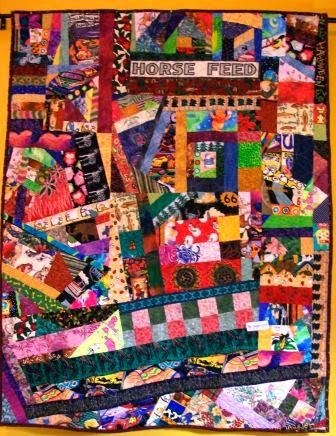 The finished quilt measures 52 in X 63 in. It is machine pieced and quilted. 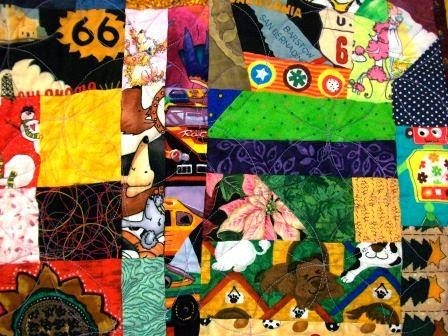 This photo shows the flowers quilted in each color square. 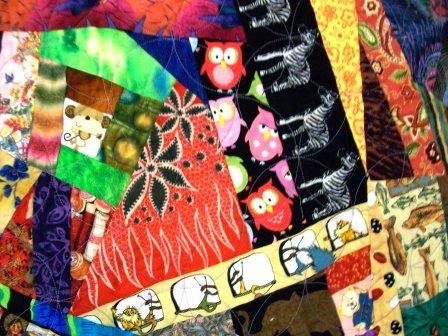 Here's a bit of the back of the quilt.